If you want beautiful beaches, little tavernas serving delicious food and stunning sunsets then Greece is the perfect place for your romantic getaway. For somewhere truly unique and breathtakingly beautiful why not stay in the Green Windmill in Oia, Santorini. This converted windmill offers privacy, a secluded beach just a short walk away and your own pool for cooling off in. In Rhodes Villa Eleni has amazing views over the Aegean and the ancient village of Lindos where you can take a stroll down its cobbled streets and find a secluded restaurant and a table for two. Villa Crystal in Zakynthos is perched on top of a cliff with views over the sea. Why not enjoy a glass of champagne in your private hot tub while you watch the sunset? Spain is not all about the family beach holiday or golfing 24/7, there are some really beautiful, romantic spots that make it a great place for couples too. Casa Bastante is a perfect Andalusian townhouse built into the side of Mijas Mountain giving stunning views over the Med. 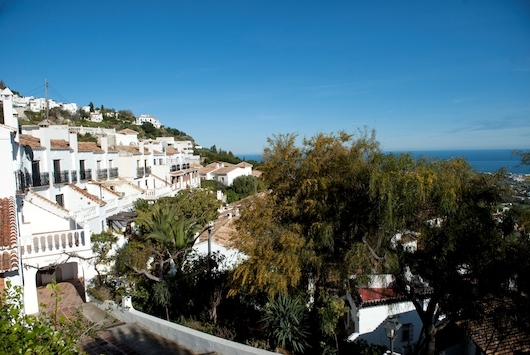 Mijas Pueblo is great for candlelit dinners and the surrounding countryside is fantastic for romantic walks. Casa Infinity is also nestled up in the hills near to Mijas and has an incredible infinity pool and a bathtub overlooking the Mediterranean below, what more could you want?! 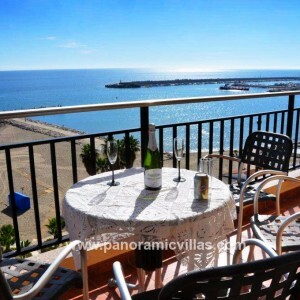 If you want to be a little closer to the action why not try one of our Marbella del Este Superior Studios which are located just a stones throw from Nikki Beach in Elviria. You can spend the day there sipping cocktails on your lounger big enough for 2. 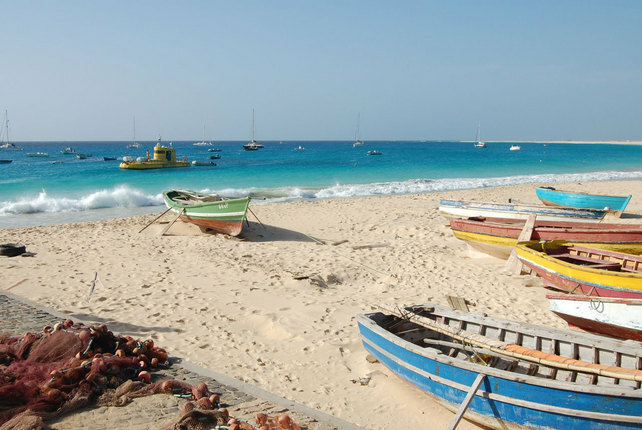 Sal Island in Cape Verde is a great destination for a romantic holiday. The beaches are wide, sandy and big enough for you to find your own little space on the sand. Active coupes can try out one of the many watersports on offer here including kiteboarding, windsurfing and scuba diving. 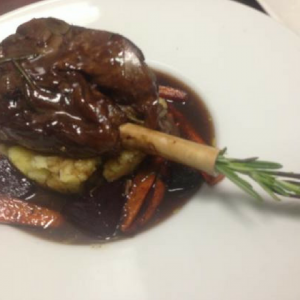 After a day out in the water you can enjoy some colourful cuisine and dancing in Santa Maria. Paradise Beach Resort has some great penthouses and private villas for rental and Vila Verde Resort has great onsite facilities including a restaurant and tennis courts. Browse all Cape Verde villas here. We have lots of other fantastic holiday homes for couples so visit our site today and book your next romantic getaway. This entry was posted in Costa del Sol, Greece on June 6, 2013 by Jess Whittle.